With winter in full swing, fast changing weather can leave you stranded on the road and unprepared for unpredictable conditions. There are many precautions you can take in advance to prepare yourself for bad weather when on the road. The first step to take is slowing down, icy conditions can be disguised by the black road and difficult to see. Snow, rain, and fog can also be misleading, slowing your speed will allow more time to react to situations encountered on the road. If you do start to slide, don’t slam on the breaks, instead stay calm and turn your wheels in the direction the back of your car is sliding. Over correcting can cause you to spin even further. Being prepared for unpredictable conditions can also mean keeping the proper supplies with in the car. Things like shovels, blankets, ice scrappers, flares, first aid kits, water, and snacks can keep you safe if crashes, break downs, or if you get stuck. Batteries are also more likely to be affected when the weather gets cold. Jumper cables should always be kept in the car to restart the battery, or to help others that might not be prepared. Chains are also a great thing to have on hand, especially if you are expecting to be driving in the mountains or particularly snowy roads. If you do not have four-wheel drive or snow tires, these are great to have in your car at all times during the winter season. While disaster can occur when the weather cools down, being prepared can make these things a breeze. 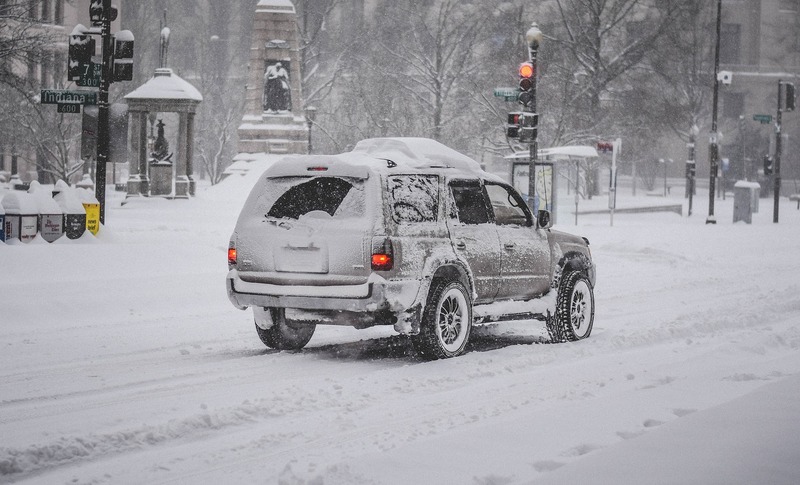 If you have any questions about getting your car winter weather ready, don’t be afraid to come see us today! Remember to stay safe, stay smart, and enjoy the winter season, spring is around the corner!